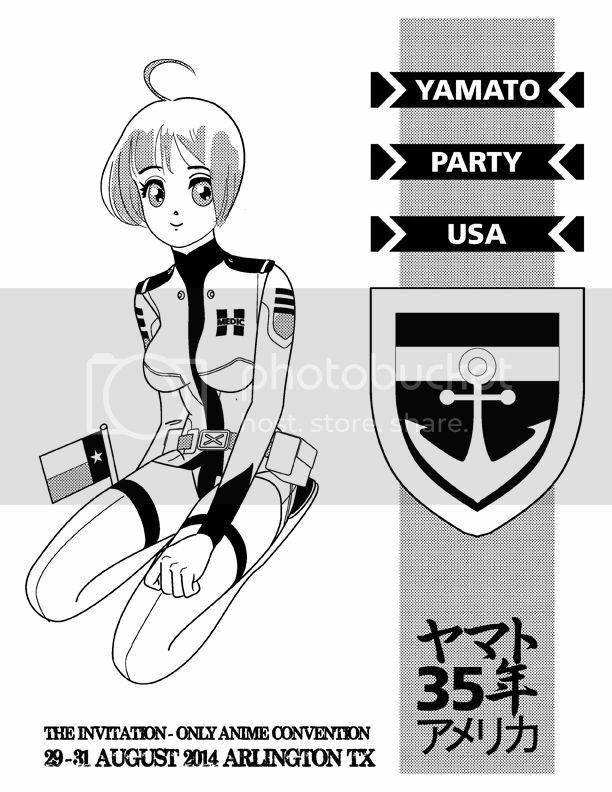 My question: would any of you be interested in attending a "Yamato Party USA"? I realize that travel in this age of Homeland Security is both expensive and unpleasant, not to mention costly, and I don't expect those of you outside of the North Texas area to sell the furniture in order to pay for the trip, but, still, you'd be welcome if you did come. I'm thinking of something like a Friday/Saturday/Sunday thing -- nothing formal, just a get-together, a few beers, a few brats, MY LITTLE PONY COSPLAY (just kidding about that) -- you know, like we used to do before we all got old. Or is it a stupid and impractical fantasy? Please let me know what you all think. It's not stupid and not impractical. I see no reason not to do it. And it HAS been far too long. One thing - is this to be a single day thing? Or multiple? I mainly ask because you mentioned "Friday/Saturday/Sunday thing" and it made me think. Obviously we're not likely to be renting out someplace. But I'm thinking it might be possible to have a multi-day get-together even if we all break up and go sleep at our own places overnight and come back to wherever this is being held. Plus you have to consider that we likely want to watch as much of 2199 as possible. Based on my experience with Yamatocon in 1983, it's possible to string all the episodes together back to back and just watch it start to finish in about 7-8 hours (depending on breaks and whether you show the credits each time etc). But as you say - a lot of us are getting older, and do we have the stamina to DO that anymore? I personally do. But I'm probably an outlier. And even I am not sure I WANT to go non-stop through a showing like that. It'd be nice to have some time to break, chat, geek-out, do some commentary etc. That's pretty much how we did it the last time. Watching Yamato Resurrection and the Live Action Yamato. Breaking in-between for the activities mentioned above. 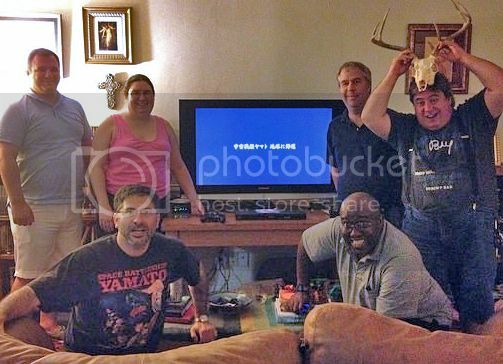 Also - before everyone got there that was going to, I believe we some of us were watching Macross Frontier stuff (movie?) and a couple of other odds and ends just to have something on the TV. But that was for only 2 movies. We now have an entire series to go through. So... do we maybe want to break this up and watch one half of the series on the first day and one half on the next day? Or do we just start around noon-ish and take it as late as we can for one full day? Either way, I'm sure it'll be lots of fun! It's a great idea, I wish all the best to all those that can attend. If this does go off well tough i hope everyone going has the best of times - just leave a beer out for me, room temperature of course. Mission accomplished! Yamato Party USA is over, and what a great time we had! On Friday afternoon, the crew assembled here at Chez Echo (the Lewis Family home) for the opening ceremony, which consisted of a Cosmo Cocktail Hour. 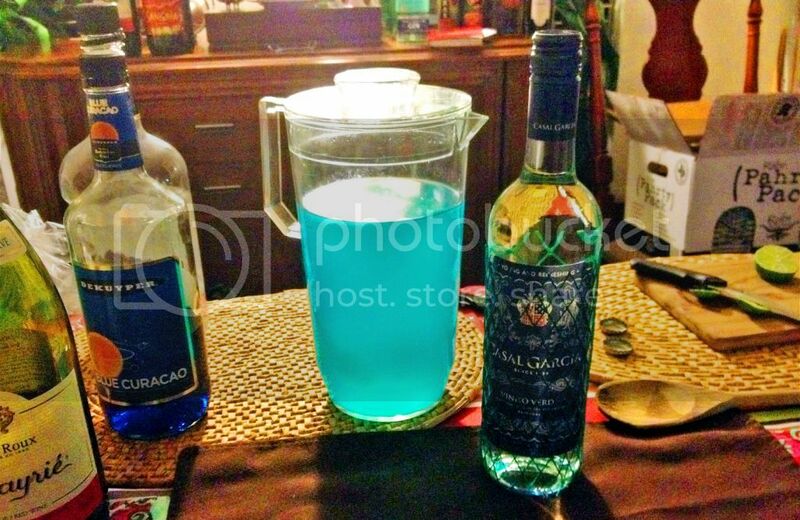 Pitchers of refreshing "Spring Water" and potent blue "Gamilon Grog" were served around, and before long spirits were high and the fun began. Potent Gamilon Grog was consumed by the pitcherful. Gharle Deslar! As the evening progressed, some of the crew watched video (three hours of 1960s and 1970s anime giant robot show opening animation! ), others sat around the table playing cards, and still others sat and talked. A light supper of penne bolognese was served and enjoyed, along with various wines and beers. The fun ran on into the early hours of Saturday morning. On Saturday, the main programming track began: the Anime Track. Precisely at 12:00 the first episode of Yamato 2199 began rolling on the Main Viewer, and the marathon was on. Meanwhile, a separate gaming track began on the small screen, featuring various PS2 classics. There were more drinks all around, of course, and a light meal of snacks and chips was served. Meanwhile, the bar was being configured for combat and the preparation for the big barbecue began. As the day went on, video programming continued. Outside, the Cosmo Grill was prepped and ignited. As night fell, the bar opened for service, featuring more"Spring Water' and Gamilon Grog along with beer, cider, and cocktails. Then the grilling began! The first course was a whole herbed fresh hen, split and roasted over the coals; this was accompanied by baked beans with bacon. Second course: grilled and marinated chicken thighs and whole roast corn on the cob , Texas style, with fresh lime and chili powder. The feast ended with Pølse med Bacon, grilled sausage wrapped in bacon, served with french fried onions, fresh buns, and a variety of sauces and condiments. The night grew dark; the drink flowed; chickens were skeletonized; and the video program wound on and on. Then, finally, at exactly 1:00 a.m., the credits began to roll on Yamato 2199 episode 26, and all congratulated one another on surviving the experience. Sunday was recovery day. After church services, brunch was served: egg casserole with Canadian bacon, muffins, Brie, assorted fresh fruit, and of course pitchers of freshly-made Mimosas. We sat around the table chatting and laughing. Somebody put Sgt. Frog on the DVD player. And a good time was had by all. 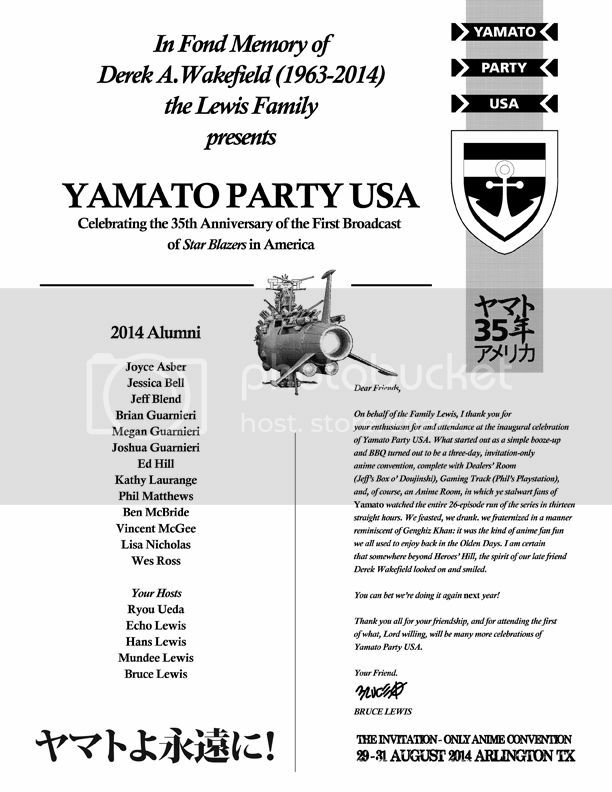 Yamato Party USA 2014 ended at 4:00 p.m. on Sunday. If you made it to Yamato Party USA, we thank you for your company and we hope you had a great time. If you didn't, why not come next year? 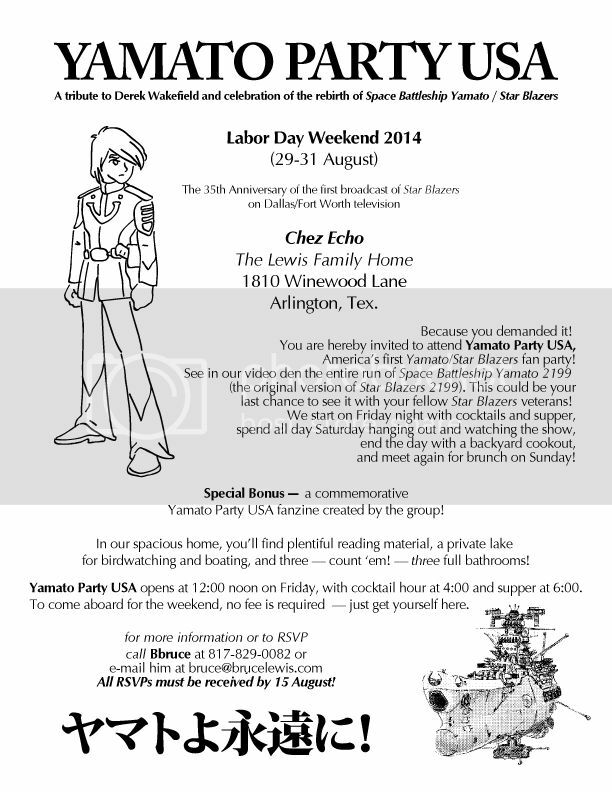 Yamato Party USA is an invitation-only affair, so drop me a line if you would like to be invited. We had such a good time -- it was much like the old days of anime fandom, without the sixth-gen VHS and the teenage Angst. You can be a part of it! On behalf of Family Lewis, I offer special thanks to Ed Hill, Megan and Brian Guarnieri, Phil Matthews, and Jeff Blend for production help. And I hope that, somewhere beyond Heroes' Hill, Derek Wakefield looked down on us and smiled. Yamato yo to wa ni!